For millenia, the indigenous prophecies of the Inka, the Hopi and the Maya spoke of this "time to come", a time when the world would end as we know it and a new species of human would give birth to itself. Some of you may remember the Mayan calendar which moves in cycles, with the last cycle ending on December 21, 2012. At that time, many wondered "is it true - will the world end at 11:11UTC" ? Astronomers will explain that the Earth rotates on an axis that experiences a slight circular wobble about once every 26,000 years. This 26,000 year cycle has been divided into 12 periods associated with the 12 astrological signs, reflective of the constellation the axis is wobbling towards. For example, from approximately 2000 B.C to 0 A.D, we were in the "Age of Aries", From 0 A.D to 2012 we were in the Age of Pisces. Although most astrologers are in agreement that the "Age of Aquarius" began in December 2012, there are some that still question the start. A recent scientific study that was published in July, 2017 refers to this moment in time as the "Sixth Mass Extinction: The Era of Biological Annihilation". It is believed that three quarters of living species is thought to become extinct in the coming centuries. Lastly, according to the ancient Vedic scriptures, it is written that the official start of the "Aquarian Age" is on November 11, 2011 (11-11-11 - which happens to be the day we got married, and NO, it wasn't done on purpose - but thats besides the point....). Regardless of the exact moment in time the "Age of Aquarius" began, the fact is we are now in the beginning of this new age which has begun to effect each person on Earth. Many people will, or have already begun, to experience various shifts in all dimensions of their life. According to ancient Vedic scriptures, this is an age of higher consciousness and awareness where the focus is no longer on your identity and existence ("to be or not to be"), but on your acceptance of your true self ("be to be")- one who no longer needs to look outside of themselves to find fulfillment. It is an age where you realize that you have the knowledge and wisdom with-in, to help guide you on your personal journey. 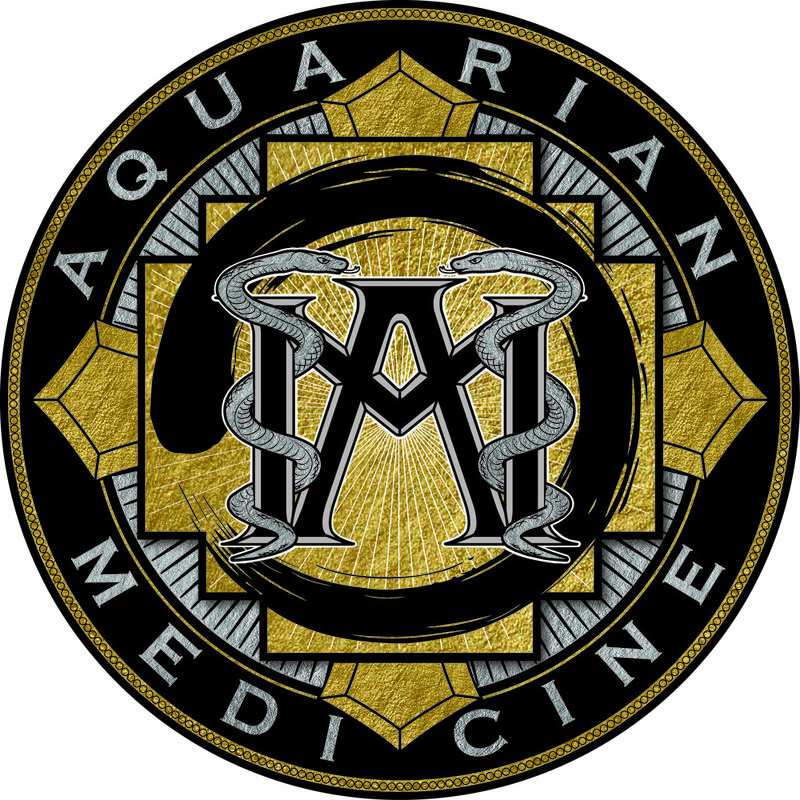 As a result of all of the above, is why we felt called to include the "Aquarian" name within the "medicine" we have to offer. It is our humble intention that our offerings here at CORE-do will serve to be a "fork-lift" (a tool) to all who come to experience them as a means of enlightenment to each individuals "truth" as they begin their personal transformational journey to restorative health and vitality. Photo credit to Alex Grey- CoSM shop.